Texas pulp writer Robert E. Howard is often referred to as the father of the 'sword and sorcery' subgenre of fantasy. His stories of Conan the Cimmerian, Kull of Atlantis, Solomon Kane, and Bran Mak Morn established the template for this type of fiction, which combines elements from different genres such as historical romance, gothic horror, and swashbuckling adventure. Howard's stories in the 1920s and 1930s—particularly the Conan series—popularized the genre, helped to define its characteristic traits, and influenced several generations of later fantasy authors. His correspondence with H.P. Lovecraft, Clark Ashton Smith, and other fellow writers that appeared in the pulp magazine Weird Tales led to what would become one of the first great literary circles in speculative fiction. Howard's characters and stories have been adapted into numerous media, including movies, television, comics, video games, and rpgs and millions of fans around the world have enjoyed the fruits of his imagination. 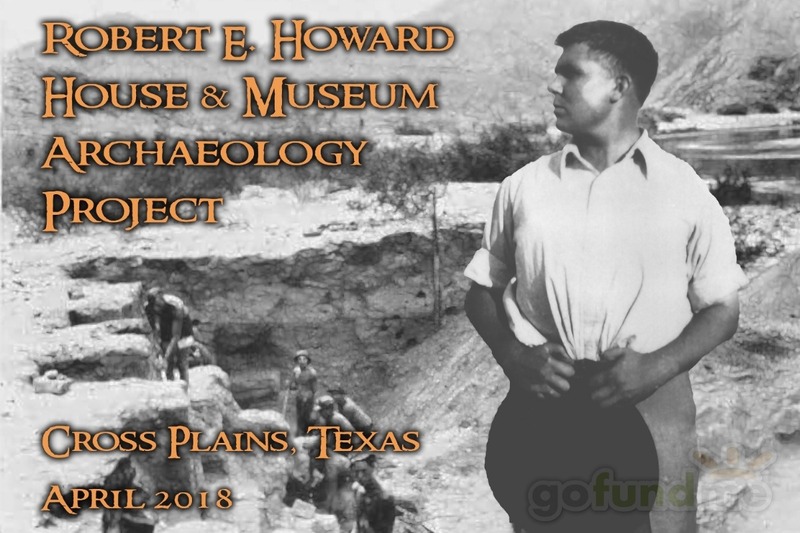 In an effort to shed more light on Robert E. Howard the man, Project Pride, the owners of the Robert E. Howard House and Museum are partnering with the National Park Service (NPS) and the Southeastern Archaeology Foundation (SEAF) to sponsor an archaeological excavation at the house where Howard grew up, lived and died, and wrote his powerful and influential fiction. Howard was born in 1906 on Peaster Texas, the son of a traveling country doctor named Isaac Howard and his wife Hester. In 1919, the Howard family moved to Cross Plains, Texas where Robert would grow up to become one of the most famous of all pulp writers. Except for a brief period when Robert moved to nearby Brownwood for school, he lived in the family home in Cross Plains, where he banged out his stories on an Underwood No. 5 typewriter in his small bedroom. After Robert's untimely death in 1936, followed immediately by that of his mother, Isaac Howard continued to live in family home until it was sold in 1942. The house went through two other owners befor e being sold to the Carter family in 1970. In 1989 the house and land was purchased by Project Pride, a local non-profit dedicated to preserving and documenting the history of Cross Plains. The Howard House was placed on the National Register of Historic Places (NRHP) in 1994 and today it has been restored to its period appearance in the 1930s. 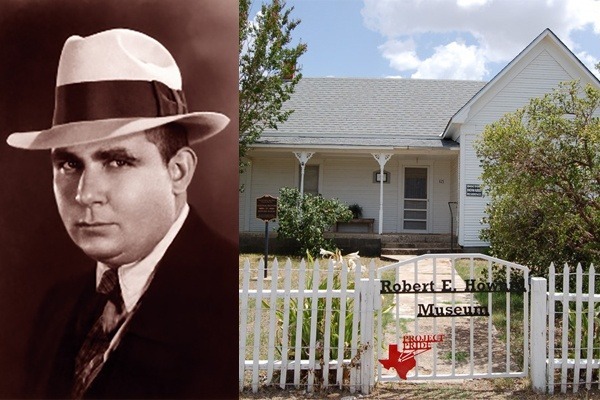 The Robert E. Howard House and Museum is now a tourist destination for countless fans from around the world who make the pilgrim to Cross Plains to see the place where whole worlds were created in the mind of one man. It is also the site for the annual gathering of fans known as Howard Days on the second weekend in June. 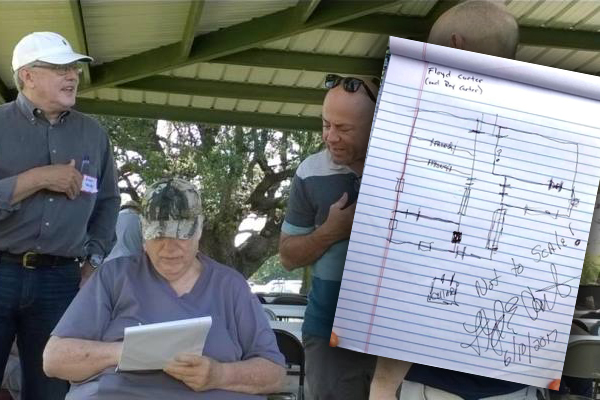 At the Howard Days gathering in 2017, Floyd Carter, Jr. who was a member of the family who purchased the home in 1970, told several Howard scholars and attendees about the presence of a storm cellar behind the house that was now filled in and buried. Carter suggested that there was a lot of material, possibly from the Howards, buried in the cellar that might be recovered if it were excavated. NPS archaeologist and Howard scholar Jeffrey Shanks was present and talked with Mr. Carter at length about his memories of the cellar. This led to discussions with Project Pride about the possibility of a professional archaeological excavation to see what could found. Because the Museum has only a handful of items from the Howards, recovering any artifacts that date from the period when Robert and his family lived there would add significantly to the collection. In January, the Project Pride Board of Directors approved Shanks's proposal for the NPS to uncover and excavate the storm cellar, process and analyze the artifacts recovered, and write the official report. The excavation will also be an educational opportunity for the Cross Plains community and local schools to teach about archaeology and the importance of preserving our shared cultural heritage. Since the Howard House is on the National Register of Historic Places and one of the missions of the National Park Service is to provide technical assistance to NRHP sites, Shanks was able to secure funding to cover the salary costs for himself and another NPS archaeologist, Thadra Stanton, to carry out the project, including excavation, artifact analysis, and report write-up -- a cost of approximately $20,000. Project Pride and the Cross Plains community will be donating lodging for the archaeological team as well as some supplies and much-needed volunteer labor. Noted Howard experts from The Robert E. Howard Foundation will be present to assist as well. 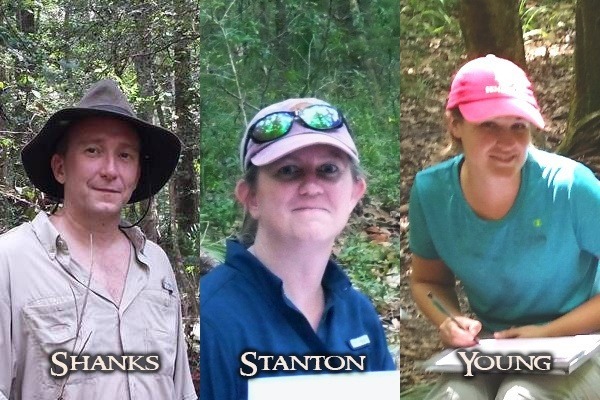 The remaining project costs are the travel expenses for the team and salary for an NPS Archaeological Technician to assist Shanks and Stanton. These costs are estimated at $3800. Shanks approached the Southeastern Archaeology Foundation (SEAF), a non-profit 501(c)3 corporation that assists and supports NPS archaeological projects, to assist in securing the remaining needed funds. In order to do so, SEAF has launched this GoFundMe crowd-sourcing campaign to raise those funds. This is where you come in! If you are fan of Robert E. Howard and his stories or just support archaeology and cultural resource preservation, we can use your financial assistance and generosity. Because SEAF is a 501(c)3 any contribution you make is tax deductible. We are offering several donation levels with different gifts including the official project T-Shirt and copies of the forthcoming archaeological report. You can even join the team in Cross Plains and participate in the excavation! NOTE: Any funds received in excess of the required amount will be donated to Project Pride to help with their ongoing costs in maintaining the the Robert E. Howard House and Museum. ATTENTION: Non-US donors please add US$5 for shipping to Warrior and Mercenary pledge levels and US$10 to Conqueror level - Thanks! Thadra Stanton is an archeologist with the National Park Service's Southeast Archeological Center's ALTASC division where she works as the Outreach, Education, and Volunteer Coordinator. She graduated from Florida State University with an MA in Anthropology and has twenty years of field experience. She has worked on historic artifact collections from Charles Pickney Historic Site, Cane River Creole National Historic Park , Maclay Gardens State Park Tenant Farmer houses, and the Thomasville Civil War POW Camp. She is an expert on late 19th and early 20th century domestic artifacts of the kind we expect to find at the Howard House. Heather Young has a BA in Anthropology from Florida State University and is preparing to begin her graduate studies in the fall. She has experience in the field as well as the lab working on several sites in Florida. She has worked for the last two years at the NPS's Southeast Archeological Center's Curation division, cataloging and processing artifacts from archaeological sites around the South east. We've just added a major new reward level. 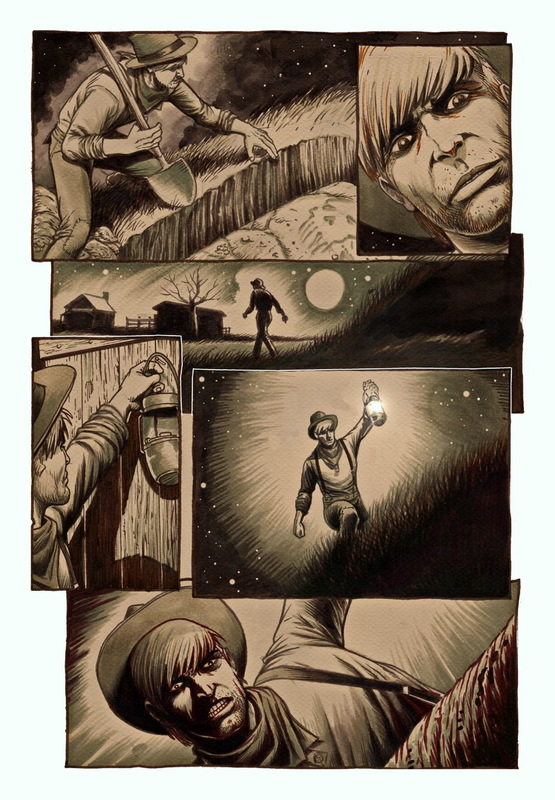 Legendary comic artist and writer Timothy Truman (Conan, Grim Jack, Scout, Jonah Hex, Hawkworld) has donated to the Southeastern Archaeology Foundation TWENTY PAGES of original art -- This is the complete story for Tim's REH Foundation Award-nominated adaptation of Robert E. Howard's classic weird western tale, "The Horror from the Mound," published last year in the anthology Vampire Classics. Become a backer at the new CROM! 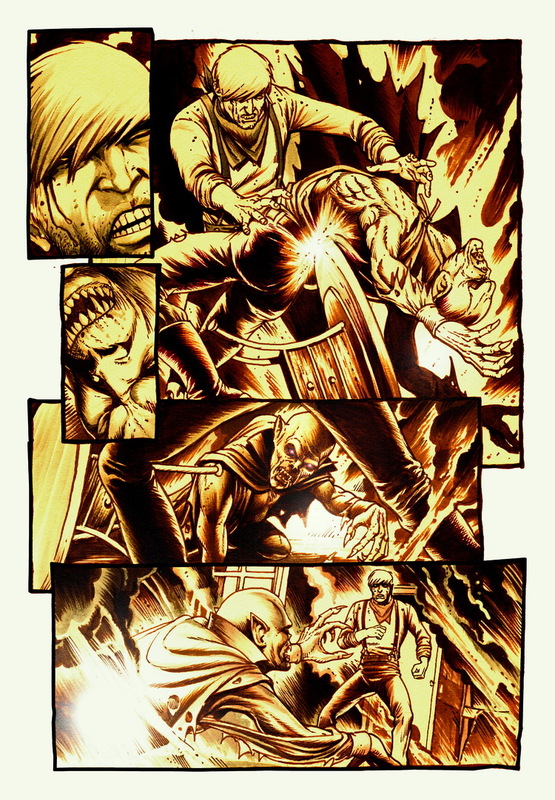 Level ($4000 tax deductible donation) and you will receive all 20 pages as a gift as well as all the other reward levels. Howard's yarn is the story of an ex-gunslinger that excavates an ancient burial mound and accidentally unleashes a an imprisoned vampire! A cautionary tale for archaeologists perhaps? Because we have reached the goal needed for the project, all donations above the goal will now go directly to Project Pride in Cross Plains for the maintenance and upkeep of the Robert E. Howard House and Museum and are tax deductible. Once again thanks for your support! We want to thank profusely all of our donors so far! We reached 50% of our goal with the first 24 hours and now we are closing in on the last 25% of our goal. We will be contacting all the donors by email, with receipts for tax purposes as well as a request for T-Shirt sizes in a few weeks. Please let everyone whom you think might be interested know about this project and this GoFundMe campaign. We need your help and support to make this happen! In the meantime , we want to tell you about one of the items that we think could be recovered from the storm cellar. 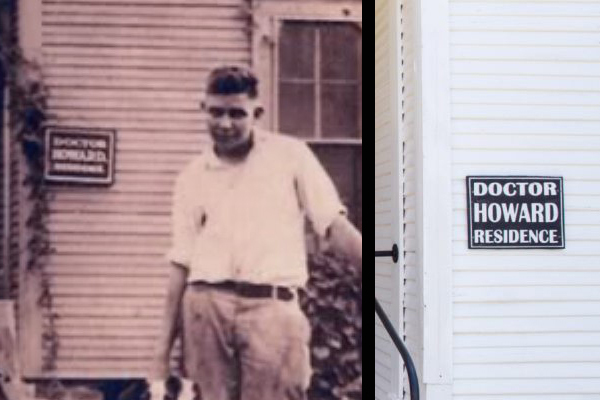 In 2017, the annual gathering of Robert E. Howard fans, known as Howard Days, had a surprise visit from Floyd Carter, who was a teenager when his family bought the house in 1970. 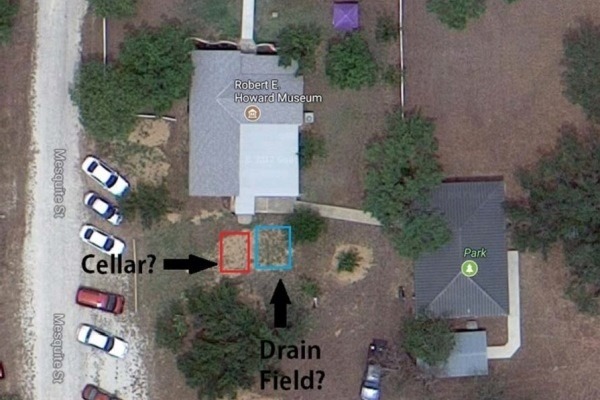 Floyd described the storm cellar that he and his brother filled in, and even drew a sketch map of its location behind the house. He also described the contents of the cellar -- mostly household items including glass containers and other objects. The Carter also cleaned out some of the items still inside the house and threw them in the cellar before filling it in. According to Floyd, one of these items was the sign (or shingle) of REH's father, Doctor Isaac Howard. This "doctor's shingle" appears in a photograph of a young Robert and reads "DOCTOR HOWARD RESIDENCE." Today there is a replica of the sign on the front of the house, but recovering the original would be a great discovery and and a wonderful artifact for the museum to display. 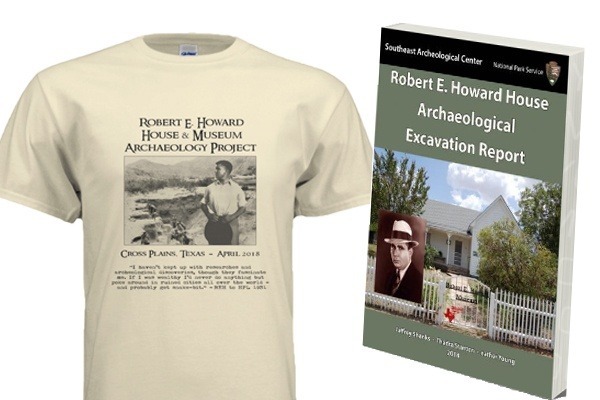 Donate $25 and receive a free Field Crew T-shirt and a PDF copy of the Excavation Report. Non-US donors please add US$5 for shipping. Donate $40 and receive a print copy of the full color Excavation Report along with a PDF copy. Non-US donors please add US$5 for shipping. Receive the T-Shirt, print and PDF Report and have have your name listed in the report as a sponsor. Non-US donors please add US$5 for shipping. Join the excavation team in Cross Plains April 16-21 and participate in the dig. Plus receive all the other donor gifts. Travel expenses are NOT included. 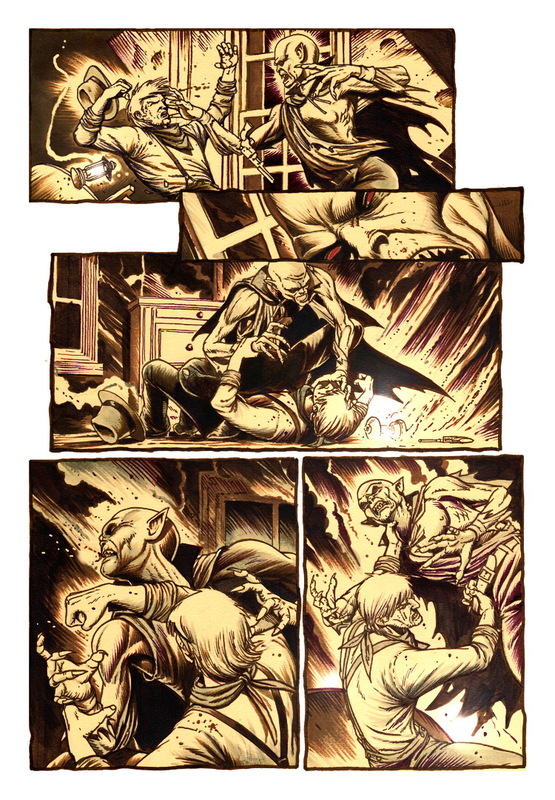 Receive all the rewards, plus the original art for "Horror from the Mound" by Tim Truman - COMPLETE story (20 pages) - Sepia wash on board.